The Anker PowerCore+ 20100 is an aluminium clad beast that stores 20100 mAh of juice for your devices. The power bank has a total of three ports, two of which are standard USB Type A output ports, to charge all your non USB Type C devices. 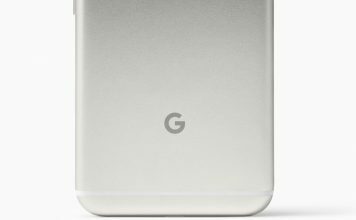 The third is a USB Type C port that is capable of charging USB Type C compatible devices, as well as the power bank itself. The power bank comes with an 18 month warranty, as well. 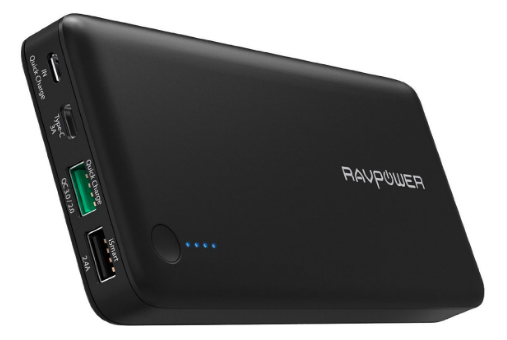 The RRAVPower 20100mAh Portable Charger is another power bank that can recharge your devices multiple times in one single charge. Packed with 201000 mAh of juice, the power bank is definitely going to keep your devices going through any battery hungry task that you might have. 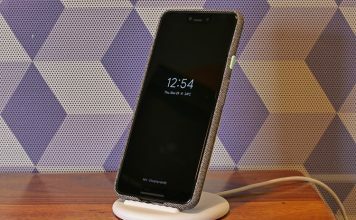 It supports Qualcomm QuickCharge 3.0, and the USB Type C port is capable of charging your devices with a 3A current, as well as recharging the power bank itself. If you have a QuickCharge compatible charger, you can charge the power bank in as little as 4 hours. There are 4 LED indicators on the power bank, so you always know the amount of charge left in the power bank. 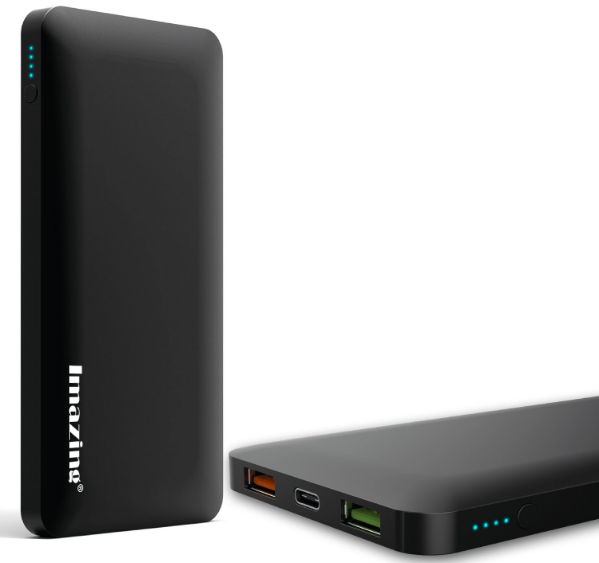 The Imazing 10000mAh Power Bank is another great option to consider, especially if you don’t want to spend $60 on a power bank. The power bank is enclosed in an aluminium housing, so it is extremely durable. 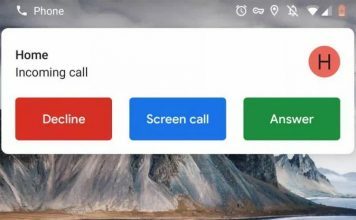 It also supports Qualcomm QuickCharge 3.0 for up to four times faster charging on QuickCharge compatible devices. 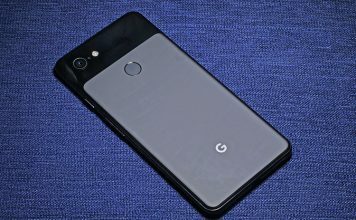 If you have a device that is compatible with QuickCharge 2.0, fret not, the power bank is backwards compatible for Qualcomm QuickCharge 2.0 as well. The Type C port on the power bank can charge your USB Type C supported devices, as well as the power bank itself. Another affordable power bank, the iVoler 10000mAh External Battery Pack comes in at $29.99, and packs 10000 mAh of juice for your devices. The power bank has a USB Type C port that can charge your devices, and can also be used to charge the power bank itself. The Type C port supports a maximum output of 3A, so your devices get charged very fast. Along with that, the power bank also has a USB Type A port, so you can charge all your non USB Type C compatible devices as well. The output on the Type A port, however, is 2.4A. The power bank comes with a USB Type A to USB Type C cable for charging the power bank, and a USB Type C to USB Type C cable for charging your USB Type C compatible devices. Along with that, iVoler offers an 18 month warranty on their power bank. 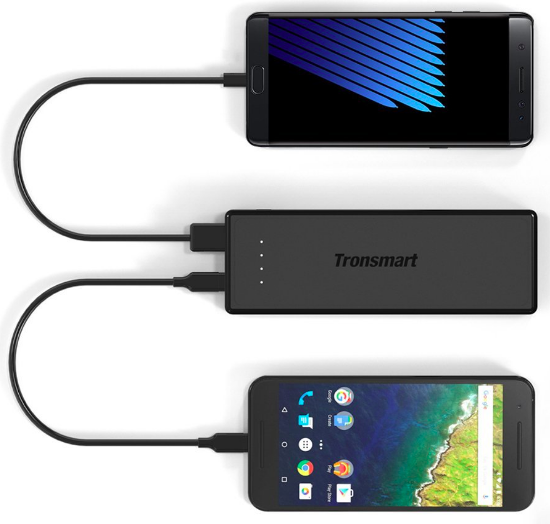 The Tronsmart Presto is another really great, and affordable power bank. 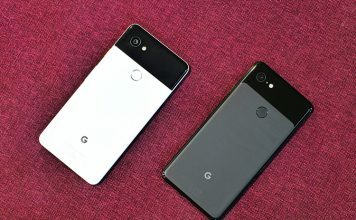 It supports Qualcomm QuickCharge 3.0 to charge compatible devices up to four times faster than standard chargers. It is also backwards compatible with all versions of QuickCharge, so your older devices (with older versions of QuickCharge) will also work with the power bank. The Type C port on the power bank can be used to charge all your USB Type C compatible devices, as well as the power bank itself. Along with the Type C port, it also contains a standard USB Type A output port, so you can charge any non USB Type C compatible devices that you might have. The power bank has 4 LED lights so you can always know the amount of charge left in the power bank. For keeping your devices safe, the power bank features safety circuitry that protects devices in case of a short circuit, or overload. The power bank comes with a USB Type A to Type C cable, as well as an 18 month warranty. 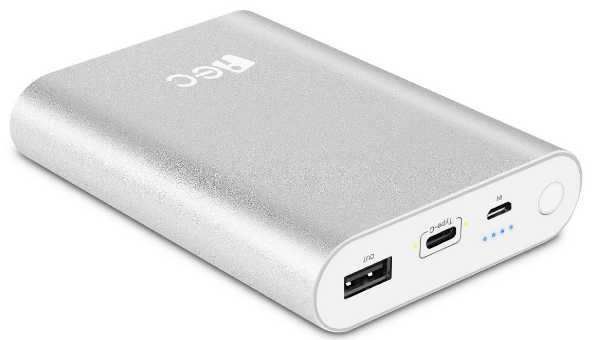 The JTD USB Type C Power Bank is contained inside an aluminium housing, so it is very durable. The power bank has a total of 3 ports: a USB Type C, a USB Type A, and a micro USB port. The Type A port can charge all your non USB Type C devices, while you can use the USB Type C port for all devices that are compatible with USB Type C.
The micro USB port is used for charging the power bank itself. However, if you want to charge the power bank faster, you can always use the USB Type C port for charging the power bank, as well. With an 18 month warranty, and lifetime tech support, the power bank is a safe bet. This external battery pack from EC Technology packs in 10400 mAh of charge for your devices, so, even multiple devices can survive throughout the day. The power bank comes with two ports: a single USB Type A port, for all your non USB Type C devices, and a USB Type C port for all the devices that support USB Type C.
The Type C port can also be used to charge the power bank itself. There are four LED indicator lights on the power bank, so you will always know the amount of charge that is left in your power bank. The power bank comes with a 12 month warranty. 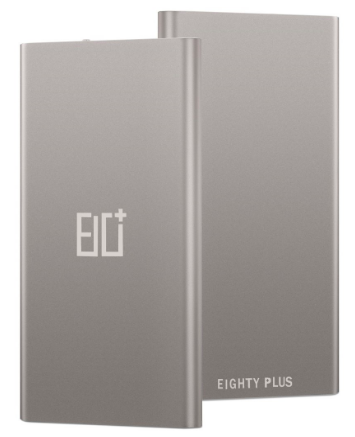 The Model 806 from Eighty Plus, is another power bank that is housed inside an aluminium casing. The total amount of charge that it can hold is rated at 10000 mAh, and it supports Qualcomm QuickCharge 2.0 for charging the power bank, as well as Qualcomm QuickCharge 3.0 for charging your compatible devices. The USB Type C port on the power bank is meant to be used to charge your devices, as well as the power bank. 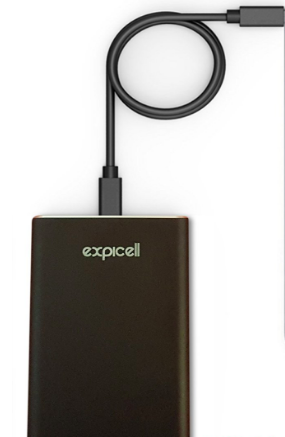 The Expicell Portable Charger is a 10000 mAh power bank that comes with a USB Type C port, which can be used to charge all your devices (the ones that are compatible with USB Type C, obviously), as well as the power bank itself. 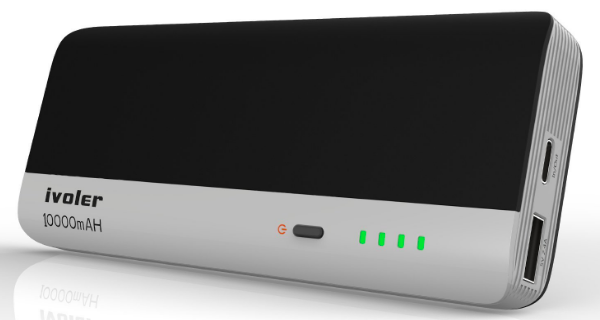 Support for Qualcomm QuickCharge 3.0 means that this power bank will be able to charge your QuickCharge 3.0 compatible devices at a much faster speed. The four LED lights on the power bank serve the purpose of letting you know the amount of charge that is remaining in the power bank. The power bank comes with a 24 month warranty, so you can buy it, and rest easy. 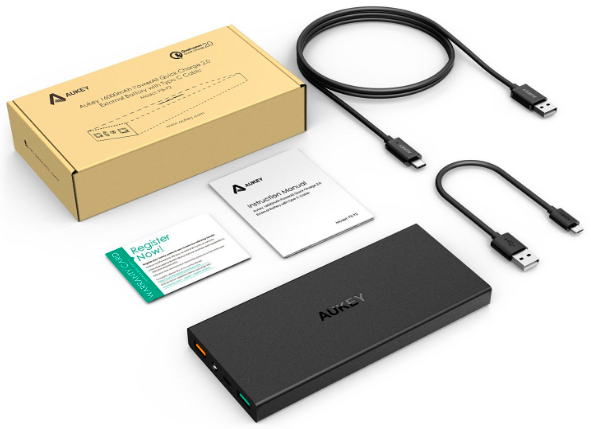 The Aukey Portable Charger is a power bank with a massive 16000 mAh battery inside it. The power bank supports Qualcomm QuickCharge 2.0 for charging your compatible devices faster than conventional chargers. It comes with two USB Type A ports, of which, only one supports QuickCharge, while the other port is standard. Along with these two output ports, the power bank also has a micro USB port that can be used to charge the power bank. Inside the box, you will find a USB Type A to USB Type C cable, as well as a micro USB cable. Aukey offers a 24 month warranty. If you have trouble with keeping your devices running through the day on their battery, you should definitely invest in a power bank for them. 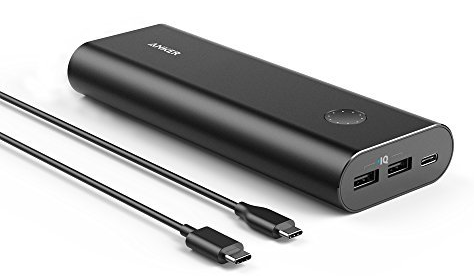 Any power bank from this list will suffice as a portable charger for your USB Type C devices and you should definitely consider this list before making a choice on the power bank that you want to buy. As always, we would like to know your thoughts on the power banks that we included in this list; also, if you know of a really great USB Type C compatible power bank that we didn’t include in this list, do let us know in the comments section below.